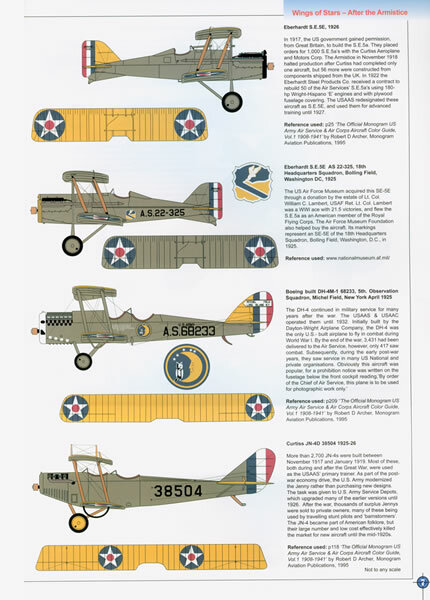 Conclusion: An opus on the markings of the aircraft operated by the United States under the various names of its air arm between 1919 and 1941 and I am sure it will be welcomed by both the enthusiast as well as the modeller. 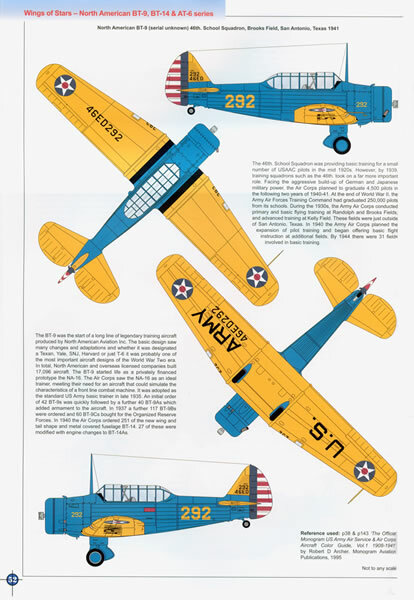 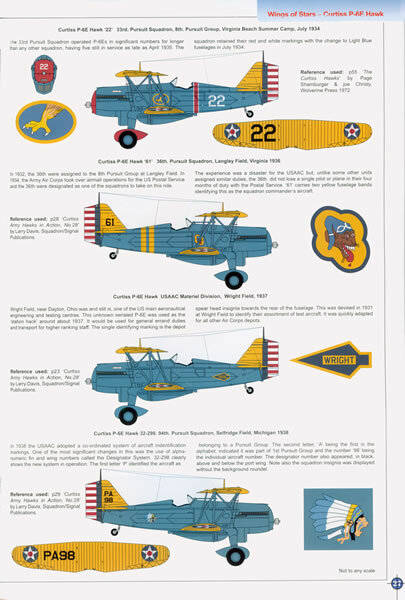 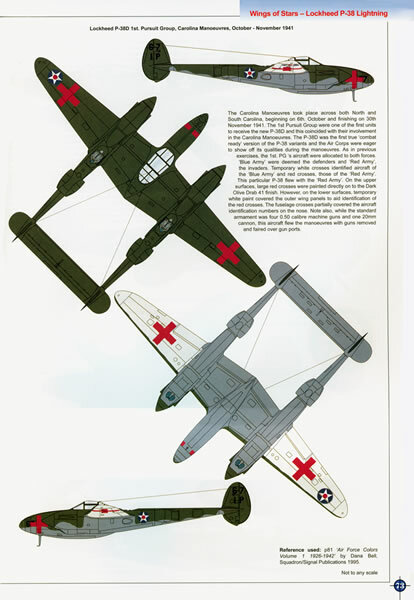 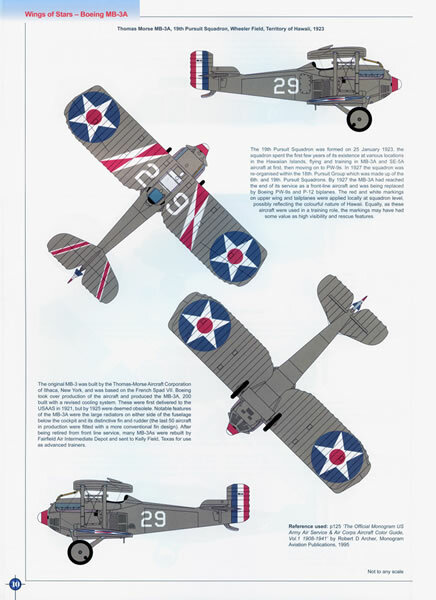 A new publication from the people at Aviation Workshop Publications, Wings of Stars, provides a visual interpretation of black and white photographs of the era of the colours and markings worn by the aircraft of the United States air arm under its various names in the peacetime era between the years 1919 and 1941. 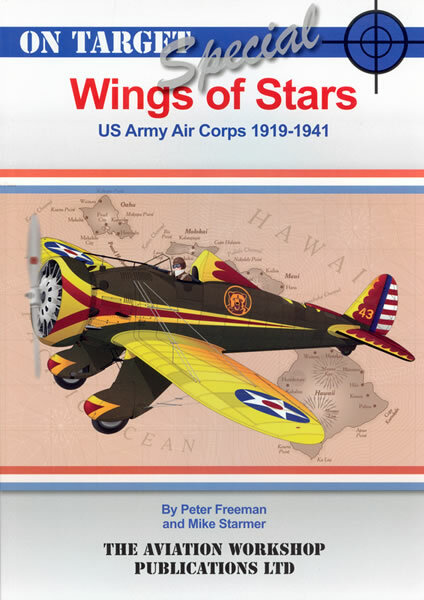 The book starts off with a short three page introduction which summarises the evolution of the USAAC from its beginnings in 1907 as the Aeronautical division of the Signal Corps, then to the Division of Military Aeronautics in 1918, thence to the United States Army Air Services in 1920 and to the US Army Air Corps 1926 and finally to the United States Army Air Forces in 1941. 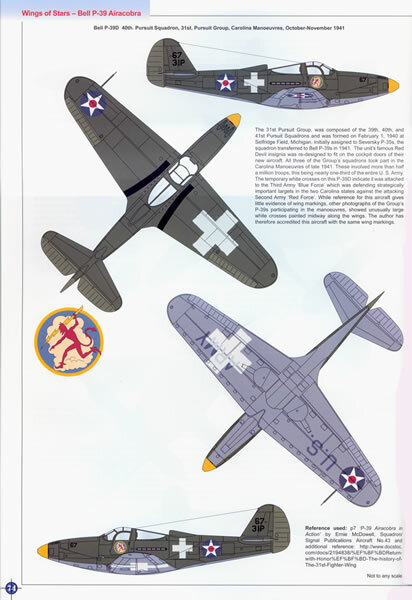 From here you are taken on a chronological ordered tour of the machines they operated commencing with the captured Fokker DVIIs operated by the in 1991 - 1920 through to the Curtiss P-40s of late October 1941. 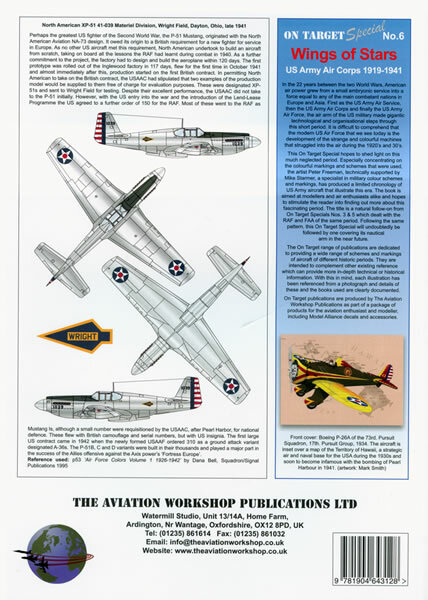 The book comprises the artwork of Peter Freeman in the form of colour profiles and plan views. 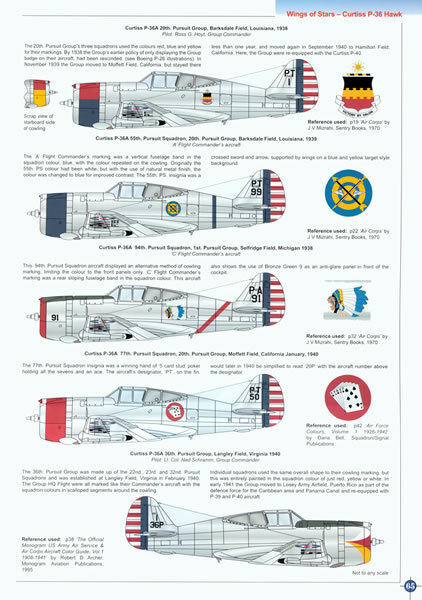 The profiles have been group by aircraft type and generally illustrate the “official scheme” worn by the machine as well as the variations to that scheme (exercise markings and schemes). 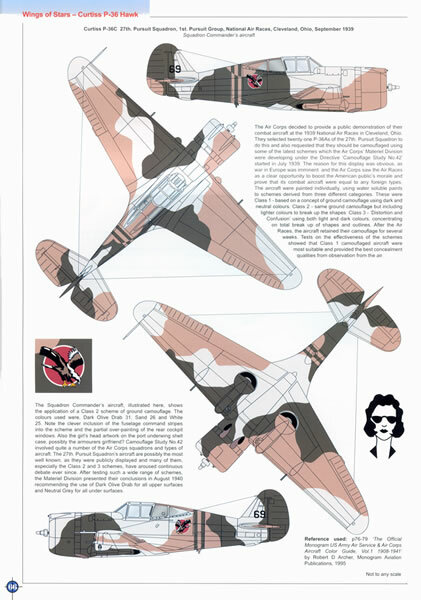 As well as the plan and profile views of the aircraft, you are also treated to scrap views of squadron insignia. 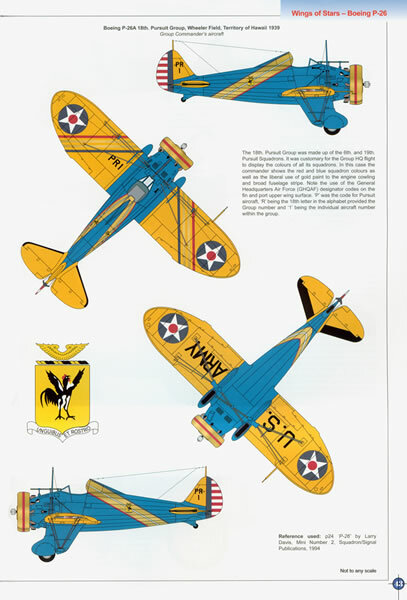 Each profile is accompanied by a full discourse of the squadron and the markings as well as the activities it was involved in at the time. 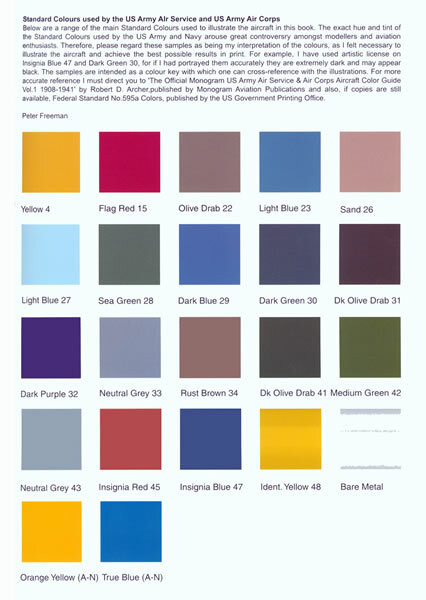 As is custom with Aviation Workshops publications, a colour chart showing the main colours used is also included. 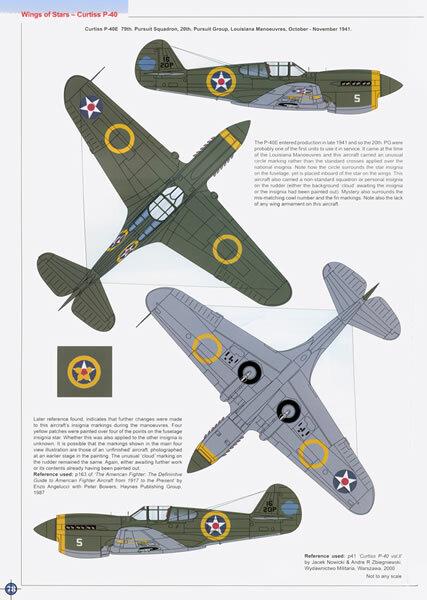 Curtiss P-40B, Curtiss P-40 E and North American XP-51. 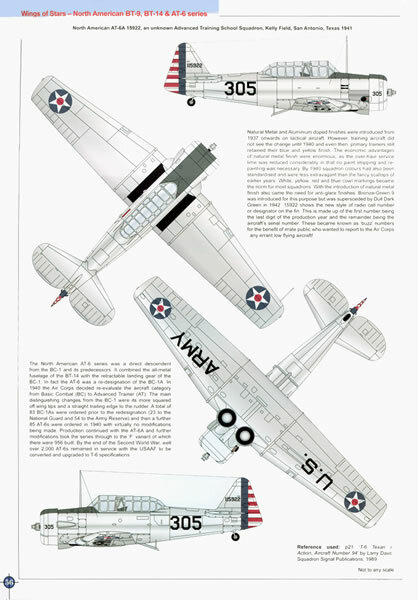 The book comprises 80 pages all up and is soft bound with thin cardboard covers. 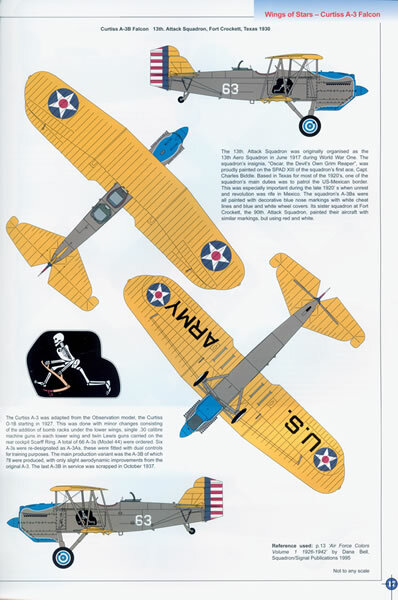 An opus on the markings of the aircraft operated by the United States under the various names of its air arm between 1919 and 1941 and I am sure it will be welcomed by both the enthusiast as well as the modeller.